Today, rhinoplasty is one of the most sought after forms of plastic surgery. The nose, which is often referred to as the cornerstone for the face, is arguably the most prominent facial feature that you possess. It unites all of your other features together, culminating in your unique appearance. When the size and shape of a nose does not suit a person’s face, whether it overpowers your other, perhaps more delicate features, or just isn’t the way you’d wish to see yourself. This one feature can detract from the beauty and symmetry of the face as a whole. Rhinoplasty can effectively change the way that a person looks. In addition, not only does it not interfere with the functions of the nose, it can increase its abilities. If one suffered from a deviated septum or has recurring respiratory problems, he or she can find that a rhinoplasty procedure eliminates most of these breathing issues. The size, shape, and width of one’s nose can be altered to something more fitting, providing a beautiful new symmetry with your facial attributes. Trying to decide upon the right size and shape for your nose may be difficult. But with the help of Dr. Racanelli and his eye for aesthetics, you will able to decide upon the perfect nose for your face. Dr. Racanelli seeks to grant your facial aspects with some of the best rhinoplasty Brooklyn has to offer. · Making the nose straighter, shorter or narrower. · Eliminating a prominent hump. · Reshaping the tip and/or nostrils. During the procedure, the skin surrounding the nose will be gently and expertly separated from the cartilage and bone. Once the skin has been separated, parts of the bone may be precisely shaved down, in order to produce a bridge that is smaller. Cartilage may also be removed from the tip of the nose, so as to create the shape and overall result you want. If you wish, as part of your rhinoplasty surgery, Dr. Racanelli can reshape your nostrils, by way of removing minute sections of the nose, only to reposition the nostrils so that they are closer to one another. Finally, the septum can be trimmed in order to alter the angle of the nose. A rhinoplasty procedure typically takes a mere few hours to complete. However this is dependant upon the amount of surgery required and asked for, from patient to patient. While you may not be able to choose the nose you are born with, you can easily change it with rhinoplasty that is administered by Dr. Racanelli. 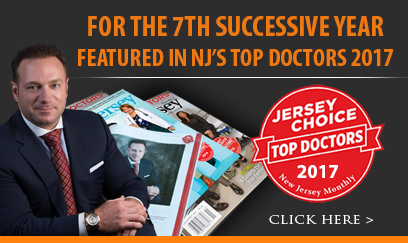 He has the skill needed to grant you with one of the best nose jobs New Jersey can provide. Prior to rhinoplasty, it is suggested that you apply sunscreen everyday, as well as using a cool mist humidifier before surgery, in addition to first couple weeks following your rhinoplasty procedure. After your surgery, you will be able to return home, with your nose carefully bandaged. Typically, about a week after your surgery most of the swelling or bruising diminishes. At this time, most patients are able to go back to their daily routines. If you are choosing to undergo more structural sculpting changes, eight days is fairly common. If you would like to learn more about your options for a nose job in Brooklyn or New Jersey, request a consultation online. Or you are more than welcome to call the office directly at (888) 982-3309 and one of our staff members will be able to assist you.